I found these great fabrics on sale in Wisconsin and couldn't pass them up. I actually visited the shop twice ... the first time I bought a few of them ... and quickly realized that I wanted more, more, more ... so went back and bought a bit of the rest of them. They are just so sweet. It didn't take long before I *had* to use them for something ... and this is what I came up with. This quilt only used a tiny bit of each fabric ... so these will all show up again soon, I'm sure. 20 squares, 20 different fabrics. 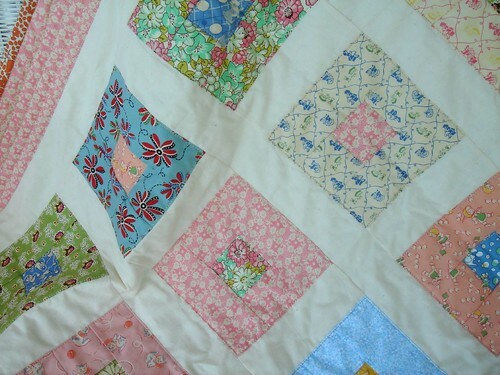 The sashing is natural muslin, which seemed to be a good fit for this quilt. The pictures stink ... I apologize. I took them a few different times in different places and just couldn't get the colors quite right. 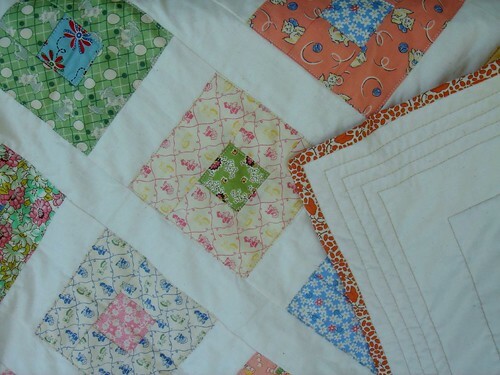 The quilt is soft and tranquil, the reproduction 30's fabrics giving it just the right feel. The squares started out at 6.5", with the centers being 1/3 of that. 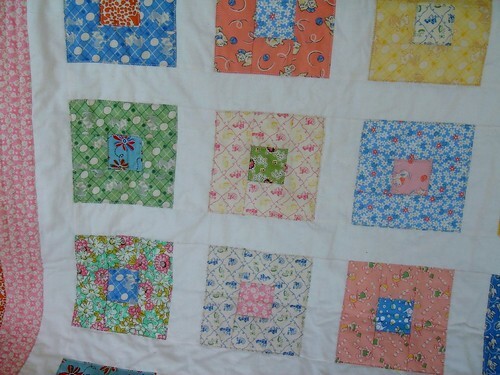 I like the color combination you used to make this quilt. Did you use a sewing machine to make it? i have a set of 30's fat quarters that i've been sitting on forever. 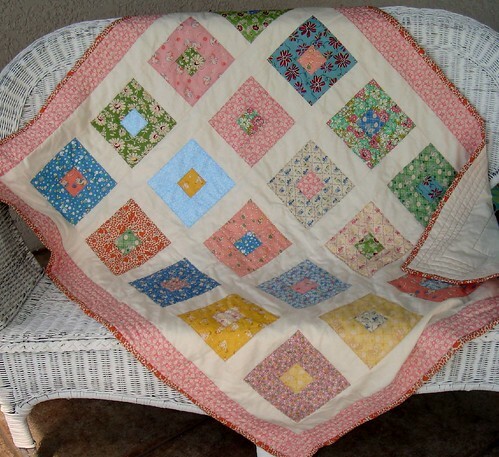 this is so sweet...love these fabrics and how you put them together.